Updated and stylish modern half brick duplex in the up and coming area of Wheat Ridge, just West of Denver. Take your pick of nearby parks & trails for play. 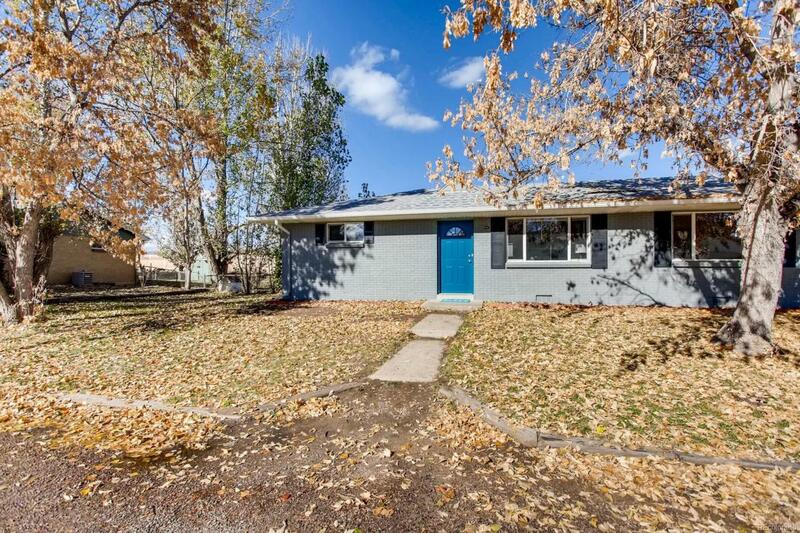 This cutie is freshly painted in & out, updated kitchen, custom wood & gas pipe shelving, original wood floors, washer/dryer hookups, large shed & XL fenced yard are just a few of the best features. No HOA dues. VA/FHA eligible! Off-street parking, likely room to build a garage. Easy access to the mountains & Downtown Denver. Breweries, restaurants & Rec Center nearby. Nearby redevelopments include Lucky's Market at 38th/Wadsworth & the Ridge at 38th. Close to Prospect Park w/ lake, Anderson Park w/ pools+ festivals & Clear Creek trail in between. Near daily conveniences, including Target & bus routes. Stop paying your landlord's mortgage, instead invest in home ownership for what may be the same or smaller payment. Also makes easy rental. Both sides available - live in one and rent the other!